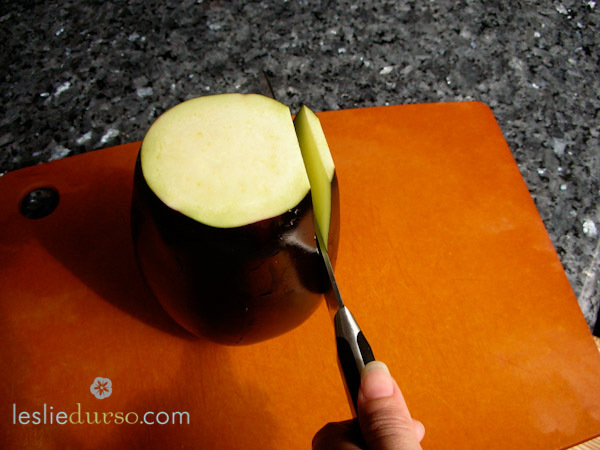 Step 1: Wash the eggplant and cut off the ends. 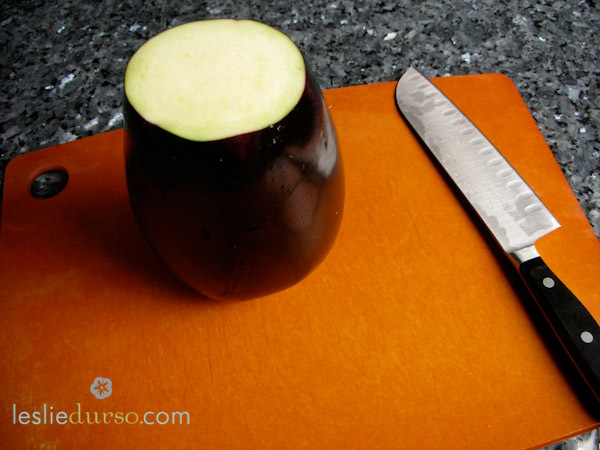 Step 2: Slice or dice the eggplant in accordance to the recipe you are making. 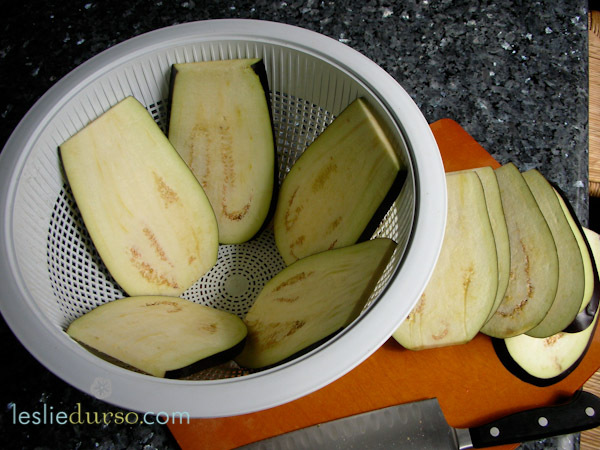 Step 3: Place the eggplant in a strainer and sprinkle with salt. This draws all the bitterness out of the eggplant. You’ll want to let it sit there for about 30 minutes. Pat them dry and then they are ready to cook! Once you’ve got your eggplant prepped you can cook it a variety of ways. You can grill it, saute it, or roast it. Here are a few of my favorite recipes using eggplant: My Aunt Rose’s Caponata, My Eggplant Burger, Pizza topped with Eggplant and Tomatoes, and Grilled Eggplant Wrapped Quinoa. FUN FACT #1: Who needs the patch?? Eggplant is richer in nicotine than any other edible plant, with a concentration of 100 ng/g (or 0.01 mg/100g). However, the amount of nicotine from eggplant or any other food is negligible compared to passive smoking. On average, 20lbs (9 kg) of eggplant contains about the same amount of nicotine as a cigarette. FUN FACT #2: Eggplant is closely related to the tomato and the potato!